Yesterday I had the honor of telling a story that I wish were not there to be told. It shook me to my core. It is one through which no parent should ever have to suffer. This is the story of the tragic loss of 8 month old Jaxon Chase and his mama's (Jordan) journey. This series is the most beautiful and, yet most somber shoot I have ever done. This girl has been through more, in the last two years, than many of us could ever imagine and would never want to. Finding the words is nearly impossible. Throughout the rest of this post, I will do my best to accompany the photos with background details that will help in understanding this horrific loss and what has come from it. Though it is not easy to write, certainly not easy to read, and though it is only one side of a the story, it is important to tell. Jax was a surprise. 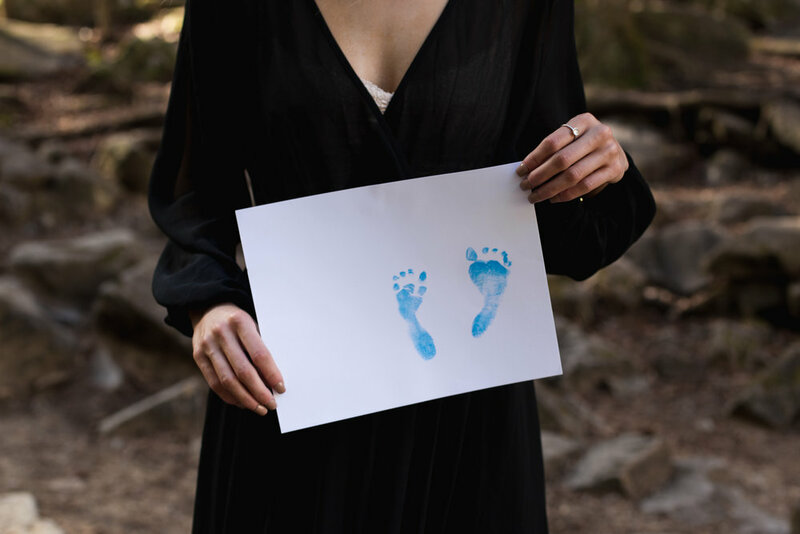 Jordan did not expect to become a mother when she did and, at the time, she did not understand the level of abuse she was suffering, in her relationship. Before he was born, she loved him more than she had ever loved anyone. Jaxon brought a light into the lives of her, her boyfriend, and anyone who ever met him. Though he was only 8 months old, he could brighten any room. I had the pleasure of holding him and playing with him, during another photo shoot, just three weeks before his passing. He had piercing blue eyes and one of those smiles where it covered his entire face. Though Jaxon gave Jordan a purpose beyond anything she imagined, she found herself fighting harder to hold together her violently abusive relationship because she desperately wanted the family she had pictured her son having. The night Jaxon died, Jordan had been working. She came home to find her son’s lifeless body laying on the floor and her son’s father asleep. Their neighbor admitted to giving her boyfriend drugs, that night, and he was unable to recall everything that happened. As anyone would, Jordan fell apart. The days to follow were filled with police reports, picking out her son’s casket, funeral arrangements, reminiscing on the dozens of photos she has of bruises inflicted upon her as she tried to explain the situation she was in when people questioned what may have happened, and then sitting and waiting for an autopsy report for her son's tiny body. She is still awaiting the report. No one knows, yet, what it will show. But, instead of being able to just grieve the loss of her little boy, something that is already unimaginable, she is also having to deal with the possibility that his death was not of natural causes. Though this story is nothing short of a nightmare, there is also triumph and hope in it. It has been one month since Jax died. Jordan is a former athlete of mine from when I coached. I have seen her in bad times and good. However, I have never seen her stronger than I have the last month. She has shown more courage and strength than, I believe, I could have even come close to if I were in her situation. She is living for Jaxon and has made it her goal to bring more awareness to domestic violence because even if her story helps only one person, it is worth her sharing it. Jordan has a long road ahead of her. She will have mountains to climb and valleys to walk through, but she is a warrior and will keep fighting. We may never have all the answers. But, we do know Jaxon Chase is sitting in the lap of Jesus in a more perfect place than any of us could imagine. He was too perfect for this world and is, now, looking down on his brave mommy. There is no doubt, in my mind, he is filled with love and pride.